Deckert Acoustical Floors has provided answers to your floor underlayment needs and sound control issues since 1985. 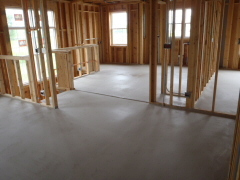 With over 30 years of experience, qualified crews, and premier Maxxon products, we are your floor experts. We are committed to building strong relationships with the clients we serve. Deckert Acoustical Floors assists Architects, Engineers, and Owners in the development and specifications of new projects in Illinois. Deckert Acoustical Floors will continue to grow in the future, along with Maxxon Corporation, to remain the leader and innovator of floor toppings in the industry.